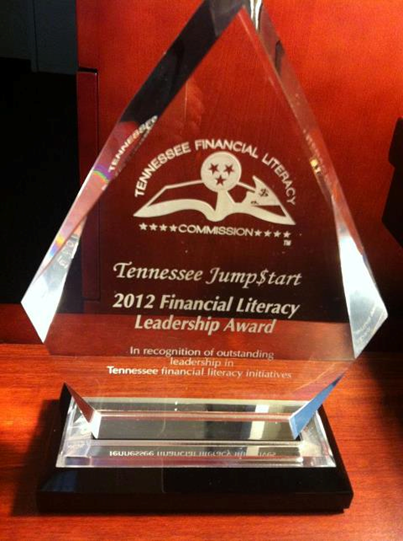 The Tennessee Jump$tart Coalition for Personal Financial Literacy was awarded the 2012 Financial Literacy Leadership Award by the Tennessee Financial Literacy Commission. 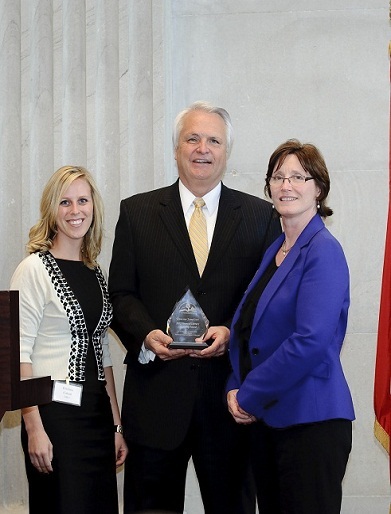 The award gave recognition for outstanding leadership in Tennessee financial literacy initiatives. Tennessee Jump$tart co-presidents Kristina Canan, Knoxville TVA Employees Credit Union, and Dr. Ann Berry, UT Extension, received the award from Lt. Governor Ron Ramsey at the Commission’s first annual awards program April 10, 2012 at the Tennessee State Capitol.